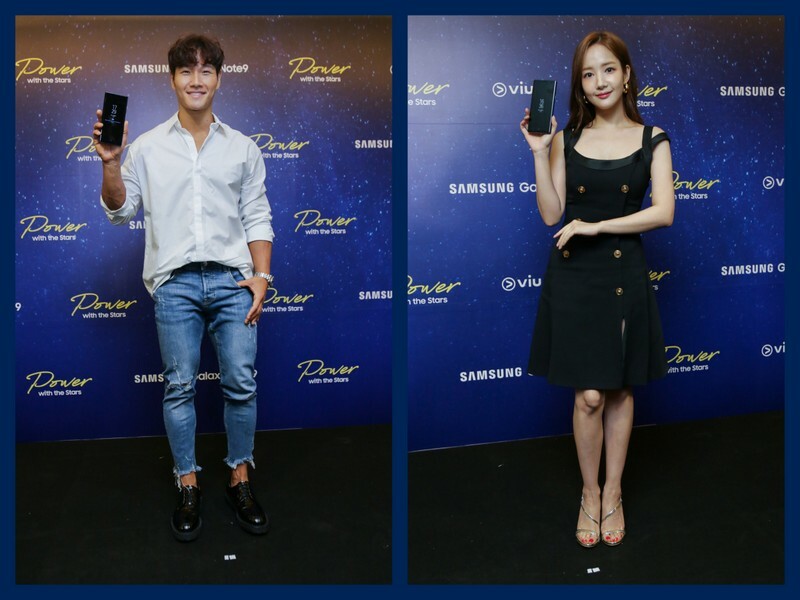 To celebrate the launch of Samsung Galaxy Note9, Samsung has teamed up with Viu to bring Hallyu stars to town for a meet and greet session with fans of Samsung. Viu is an entertainment app released by Hong Kong Television Network, PCCW, since its inception in 2016, it has acquired many of the hot favourites dramas and variety programmes. Notably, What’s wrong with secretary Kim and Running Man, among the top favourites which explained why Park Min Young and Kim Jong Kook were in town. Park Min Young was the first to take the stage. Even though rumour has it that she has been dating her co-star, Park Seo Joon, the actress breathe no mention about the latter, a standard practice of K-pop stars who usually do not talk about their rumour co-star. Instead, she shared about the memorable scenes of What’s wrong with secretary Kim, the romantic comedy-drama which was based on the eponymous novel and webtoon. The 32-year-old actress debuted since 2005 and rose to fame in drama City Hunter, co-starred by Lee Min-Ho. Kim Jong Kook, who accepted the interview next was clearly a crowd favourite, among the pool of female media. He has visited Singapore countless times and met the media many times before this press conference, clearly feeling at ease on stage while his manager was busy taking pictures of the Gardens by the Bay view. 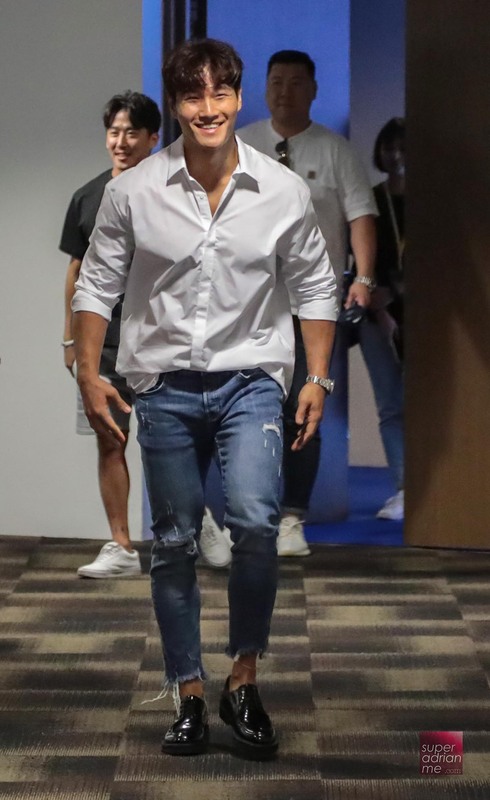 No stranger to the variety scene, Kim Jong Kook has starred in many variety shows, such as Running Man, Mom’s Diary, Dragon Club, The Call, etc. In these variety shows, Jong Kook has expressed that he feels the need to get married, especially when many of his friends of the same age, starred in Dragon Club are married. Despite so, he cites the factor of being shy and reserved, thus unable to find his partner yet. Earning himself the name of Sparta in Running Man, the fit, and hulky Jong Kook once shared that he started his workout regime because of slipped disc and he knew that he had to work out to strengthen his back muscle. From then on, he got addicted to his work-out, which pretty much explains how he maintains his young looks and fit build. While many can’t leave without a mobile phone, he gave no hesitation and chose the workout over the mobile phone. A singer when he first debuted, Jong Kook shared his upcoming plans to release a new album and would like to collaborate with BTS. Citing his age of not able to do the things that the idol group does, he hopes to bring some sparks to his music through collaboration with the younger generation. Many of the programmes by Park Min Young and Kim Jong Kook can be viewed on Viu. 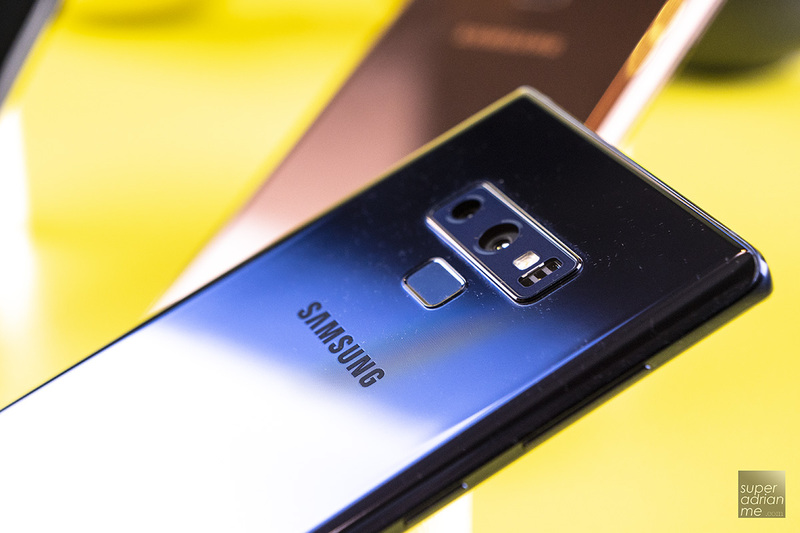 For ideal viewing experience on mobile, Samsung Galaxy Note9 would be a good choice, with a free upgrade to 512 GB device with every 128 GB device purchased during the pre-launch period.